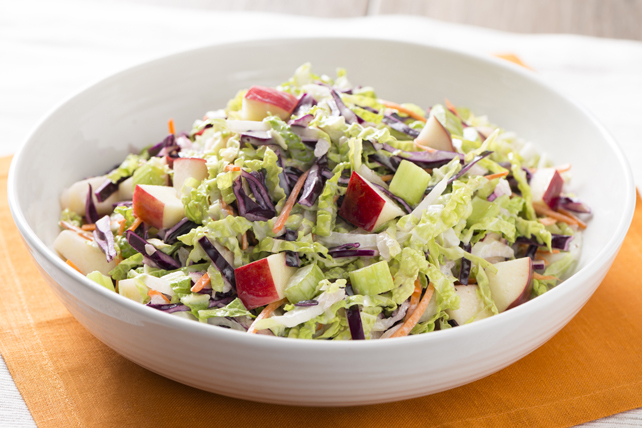 Made with premium Dijon mustard and a blend of tasty seasonings, Renée’s Coleslaw Dressing takes the humble cabbage to tangy new heights and elevates potatoes beyond compare. Fabulous on a potato salad. A delicious pairing with red and white cabbage. Canola oil, water, sugar, vinegar, frozen yolk (egg), salt, Dijon mustard (water, mustard seeds, vinegar, salt, turmeric), mustard flour, spices, modified corn starch, xanthan gum, seasonings (anchovies [fish]), onion powder, natural flavour.